For decades, the Gorbals area of Glasgow was a byword for social problems. During the 1920s and 1930s, poverty and overcrowding spawned deprivation, poor health, gang culture and violence. In the 1960s, the slums made way for new housing developments, including three tower blocks designed by the acclaimed architect of Coventry Cathedral, Sir Basil Spence. However, almost as soon as the residents moved in, the houses began to suffer from condensation and persistent dampness. The architect may have intended his buildings to resemble “ships in full sail on washdays.” But, for the tenants, the multi-storey flats were prisons in the sky, located in a social wasteland devoid of public amenities. Before long, the development became known locally as “Alcatraz”. Few mourned their passing when the tower blocks were finally demolished in 1993. Today, the Gorbals is once again being redeveloped, and this time the people living in the area have had a say in the area’s planning and design. With its focus on Crown Street, the New Gorbals is an attractive mix of housing, including apartments, maisonettes and terraced housing. In addition, residents can enjoy pedestrian environments and public spaces, with nearby commercial and community amenities, such as shops, a leisure centre and a modern public library. The new development has won approval from residents, and affirmation from urban planning experts. Last month, a study by the Royal Town Planning Institute reported positive links between the regeneration of the Gorbals and economic success. Directly west of Crown Street, at Laurieston, further regeneration has been taking place. Last year, a £24m housing development of 201 homes was completed – Scotland’s largest ever single housing association grant-funded project. The homes are based on the traditional tenement, a longstanding feature of the Glasgow landscape. The model fell out of favour in the post-war years, but the Laurieston development’s reinvention of the tenement is another success story in the regeneration of the Gorbals. In November 2014, it was awarded ‘Best Social Housing Development’ at the Premier Guarantee Excellence Awards, which celebrate the best of the UK construction industry. 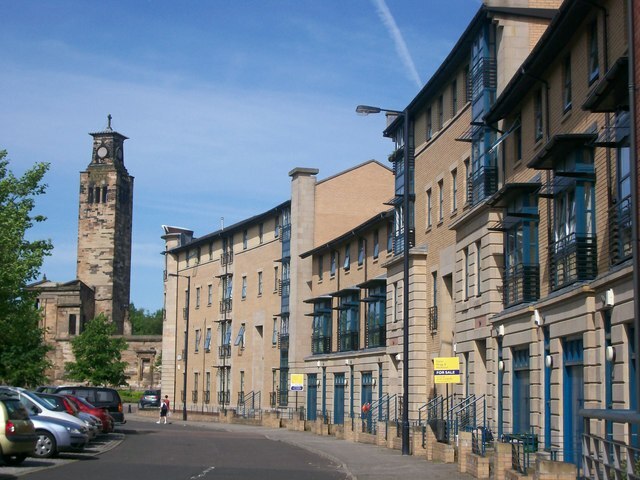 Laurieston is one of eight priority Transformational Regeneration Areas (TRAs) in Glasgow. Established in 2009, the TRA Partnership between Glasgow City Council, Glasgow Housing Association and the Scottish Government, aims to provide new and sustainable mixed tenure communities through the provision of new housing, community facilities, green space and commercial units. Around 600 homes for social rent are planned, along with a further 6500 affordable homes for sale or mid-market rent. Six of the eight areas are now active, and housing has been delivered in three TRAs. The Idox Information Service can help you access further information on regeneration and planning. To find out more on how to become a member, contact us.